You’ve found your perfect match, he’s popped the question and you said “Yes” and you’ve been wondering if you should have a destination wedding? We can easily give you 13 reasons why you should wed away! It’s your wedding day, but it’s also your vacation! Unlike getting married at your hometown, when holding a destination wedding you will have hired a professional wedding planner, handling all the communication with the vendors, leaving you carefree to actually enjoy the whole process! Traditionally, the wedding couples do not have the time to interact with all of their guests the time they would like to. In a destination wedding though, you’ll have not a few hours, but a few days with them to bond and create unforgettable memories! You can totally skip the formalities during your reception by letting your guests mingle and choose their own seats for dinner! This will create a cozy atmosphere heating up for the massive dance party that followes! You met while studying abroad, but the one of you comes from London while the other one from Boston? In whose hometown should you get married? Nobody’s! Create your own neutral spot, your “Green Zone” and plan a destination wedding in Greece! Studies have shown that most couples prefer their weddings not to be remembered as a formal event, but as a fun, casual party! Ditch your heels and your bowtie and get married barefoot, holding a beach wedding under the Greek sun! Avoid the limiting scenery of your local banquet hall, by getting married in Greece, under the sun, by the Aegean Sea! Can you imagine the photos you will get for your wedding album when your photoshoot’s background is the amazing volcano view in Santorini? Are you as bored as we are with traditional 45-minute ceremonies? Create your own scenario and choose a local wedding celebrant that will infuse a bit of cultural flavor into your special day. Haven’t you all watched a Hollywood movie and caught yourself saying that you would like to get married on an intimate, cozy beach wedding, like the one in the movie? Well, that dream is not that far away! Plan your island wedding in Greece and live it! You’ve been probably thinking of having a destination wedding, but you cannot decide on that as you believe that it would be more expensive than getting married at home. You’re wrong! Having cut your guestlist in half and having an amazing natural scenery as decoration can be seriously money-saving! Usually, couples fly for their honeymoon a few days after their wedding day. But by having a destination wedding, you are actually getting 2 honeymoons! Just imagine that you exchange your vows on the beach and from the moment your say “I Do”, you are literally on your honeymoon! Start your new life together with a week full of new experiences! Live new adventures together with future spouse and the people that matter the most to you, by exploring new lands and getting to experience new cultures. Think outside the box and plan a destination wedding! Trust me, your guests will long remember your special day. They’ve all gone to many weddings, but most probably not in a destination one. It will be just hard for anyone else to top it! By definition, a destination wedding is getting married at least 200 miles away from the bride’s hometown. Imagine the options that open up for you! The whole world is literally your oyster. 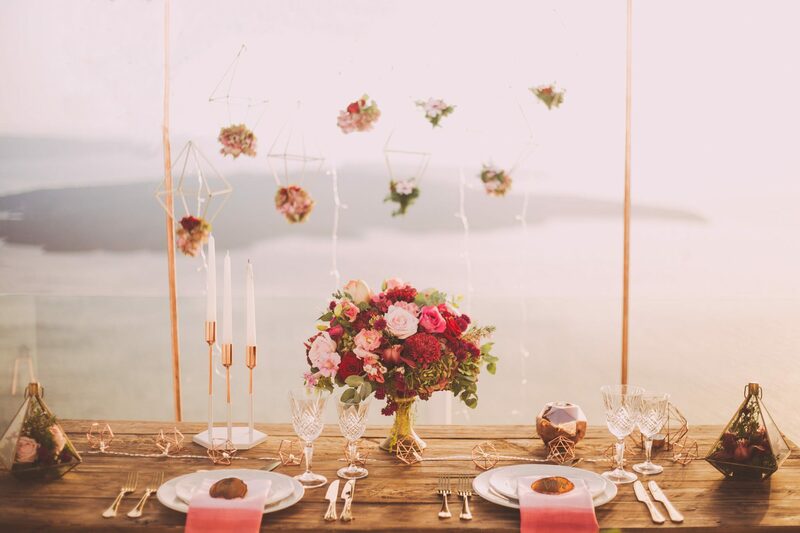 Hint: Greece is the absolute wedding destination!